We describe a new technique for obtaining a spatially varying BRDF (svBRDF) of a flat object using printed fiducial markers and a cell phone capable of continuous flash video. Our homography-based video frame alignment method does not require the fiducial markers to be visible in every frame, thereby enabling us to capture larger areas at a closer distance and higher resolution than in previous work. 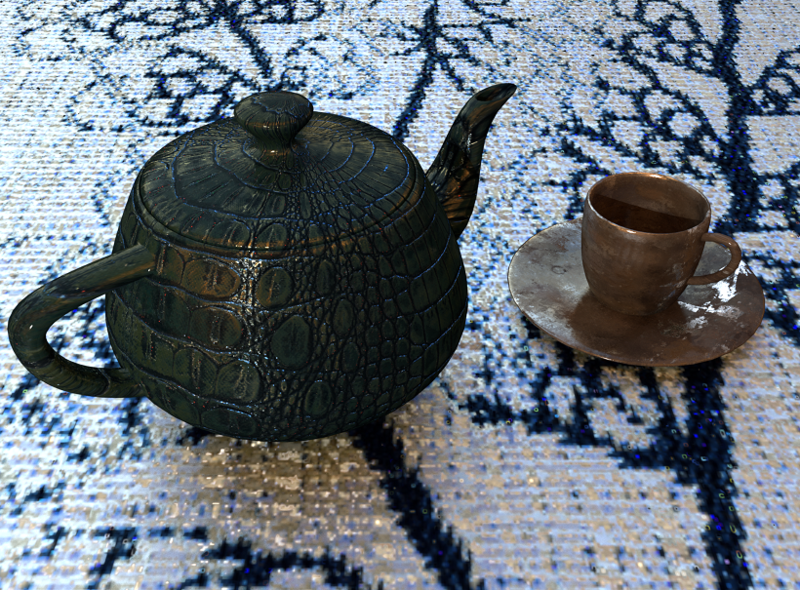 Clusters of pixels in the resulting panorama that correspond to like materials are fit with a BRDF based on a recursive subdivision algorithm, utilizing all the light and view positions obtained from the video. We demonstrate the versatility of this method by capturing a variety of materials with both one- and two-camera input streams and rendering our results on 3D objects under complex illumination.